The 8th International Conference on emerging Networking EXperiments and Technologies (CoNEXT) will be held from December 10th to 13th in Nice, located at the wonderful Côte d’Azur in France. While CoNEXT used to be two and a half day formerly, this year CoNEXT will last three full days. 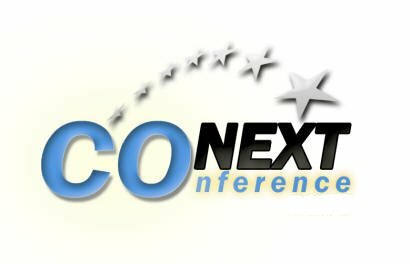 CoNEXT 2012 will be a major forum for presentations and discussions of novel networking technologies that will shape the future of Internetworking. The conference is single track and features a high-quality technical program with significant opportunities for individual and small-group technical and social interactions among a diverse set of participants. The CoNEXT conferences focus on stimulating exchanges between various international research communities. This year’s CoNEXT will host three Workshops on the first day: The Capacity Sharing Workshop (CSWS), the UrbaNe Workshop and a Student Workshop. To contact the organizers of CoNEXT 2012, send us an email. The conference will be held at the Boscolo Plaza Hotel in downtown Nice. CoNEXT 2012 will give a registration discount for all participants who reserve their hotel room together with registration. 2012-10-29: Extended early registration deadline to Nov 12th. 2012-09-26: Event addresses added to Local Information; Location describes the city, Travel & Visa gives transportation and visa info; Tourist Info lists sights. 2012-09-23: Student Workshop submission deadline extended to Monday September 25, 2012 at 9pm US Pacific time. 2012-09-11: Student Workshop submission page is now open. 2012-07-23: CoNEXT will be 3 full days this year (not 2,5 days). 2012-07-16: Urbane: Submission deadlines extended. Abstracts/Papers by July 27th/August 3rd. 2012-07-13: CSWS: Submission deadlines extended. Abstracts/Papers by July 20th/August 3rd.